Set just off the busy Jalan Besar thoroughfare, on the river side, the bright yellow Classic Hotel is easy to spot among the dingy grey-blue neighbouring businesses. Ad Book now! Rates from US$18.26++. Average rating 7.8 from 844 reviews. It may not look like that much from the street, but the three-storey hotel, while not exactly classic, remains solid flash packer fare in Kuantan. Rooms are dated but a good size, bathrooms are clean and some of the rooms have a semi-decent view over the river. Facilities include WiFi, cable TV and air-con throughout. Although crossing the ridiculously busy street is a challenge, they have a great location across from Tjantek and a short walk to other nearby eateries. The staff are also especially helpful with information should you need assistance. 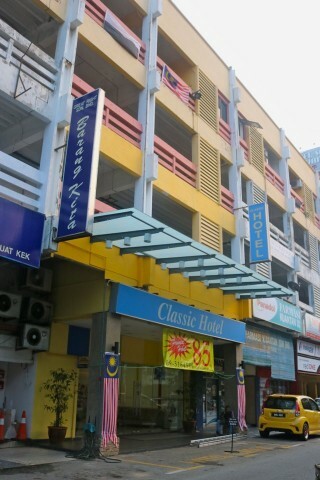 Check rates at Classic Hotel on Booking.com.